THE CONTENTED LIFE: Spirituality and the Gift of Years . By Robert Atwell. Foreword by Joan Bakewell. London: Canterbury Press Norwich, 2011. Xii + 98 pages. With the exception of Benjamin Button, we all face the prospect of growing older. In times past age was given more regard than it does today, as our culture pursues the cult of eternal youth. This is true in spite of the fact that we are living longer than ever. So, we try whatever possible to forestall this reality. Nonetheless, despite our best efforts, time does catch up with us, leaving many of us with a deep sense of discontent and frustration. But is this a necessary reality? Is there another pathway that might be more fruitful? In other words, what kinds of spiritual resources are available that will help us navigate our later years? 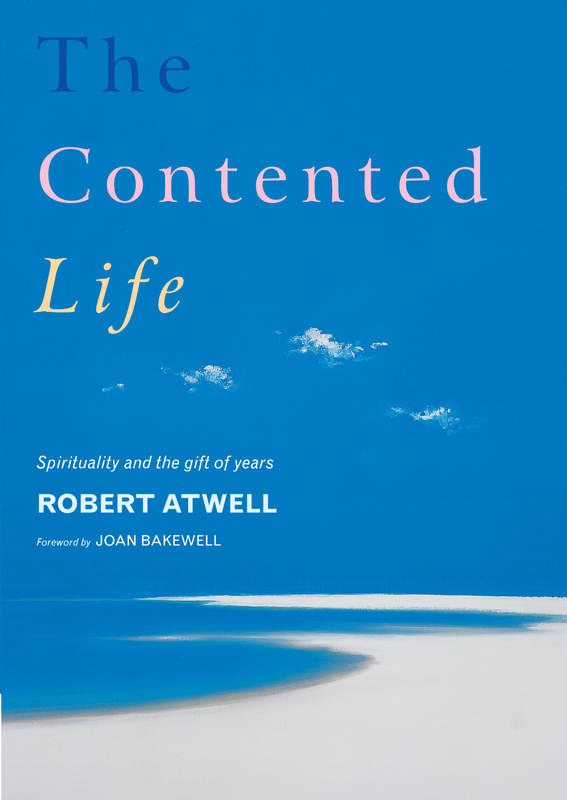 This is the question taken up by Anglican bishop Robert Atwell in The Contented Life. Atwell notes that “far from being a grim affair of shrinking horizons, growing older can be an adventure, full of new and exciting possibilities” (p. 1). The author of this book, Robert Atwell, is the suffragan bishop of Stockwell, a section of the city of Manchester in the Diocese of Chester. He has an interesting biography that includes ten years spent as a Benedictine monk (Anglican). This background in Benedictine spirituality helps undergird this book that began life as a lecture given to older persons “who felt sidelined by our culture’s obsession with youth and celebrity” (p. ix). He sought to address the questions of those who were tired of dealing with questions of death and dying but wondered what they might contribute in such a youth-oriented culture. So positive was the response to that lecture that he decided to offer his perspective to a wider audience through a book. The book is composed of eight relatively brief chapters that deal with issues such as retirement, living a vibrant life, dealing with memories (including the loss of memory), forgiveness, becoming, and happiness. The opening chapter is titled “Invitation,” wherein the author invites the reader to re-envision one’s later years, to consider where the journey might lead. And the last chapter, fittingly entitled “finale” he deals with the fact that our earthly journeys do come to an end, and thus we must learn to deal with this reality. Atwell writes near the end of the book that “people often talk about life as a journey, but rarely of death as an act of communion. . . . I face my mortality in the conviction that death is not extinction, but the gateway to the fulfillment of human life. God turns my existence into life, and my life into a pilgrimage” (p. 90). There is in this book a sweetness, an invitation to embrace life in all of its manifestations, and to see life as a journey lived with God and moving ever closer to God. Thus, one’s older years need not be lived in fear and brokenness, but in hope and joy. Persons who have reached their senior years may celebrate the gifts that attend to their lives. There is the possibility of continued creativity and service to others. There is wisdom to share, especially with the younger members of society. One may have the opportunity to find that life is re-enchanted, so that one might live in the wonder of the moment. He points out that the temptation of youth is to live too much into the future, and for the elderly to live in the past, and thus opt out of the present. We may no longer have the good looks or the raw energy of a twenty-year old, but we do have a honed wisdom which comes from a lifetime of experience and this should give us confidence. With so much to draw upon, we need to share our insights without pontificating or becoming a bore. If we succeed, then the joys and disappointments of life will become a tool box from which all gain wisdom (p. 8). Each chapter begins with a quote, sometimes just a brief quip such as this one: “God grant me the senility to forget the people I never liked anyway, the good fortune to run into the ones I do, and the eyesight to tell the difference.” Others are longer piece – a poem or a song. The chapters end with questions or thoughts for reflection. The book is useful for personal devotion, but it could also be used to stimulate conversation among seniors. Having served as pastor of churches with significant numbers of older persons, I know that there is often within them a hunger to grow deeper in the Spirit and to find ways of expressing their faith in new and vibrant ways, even if their bodies may provide physical limits. In other words, most of them aren’t ready to be put out to pasture. They want to continue growing in spirit and in knowledge. I may not have reached the age of full maturity yet, but I’m creeping up there, and I found this to be a most thoughtful book. It is written with those in mind who have reached their retirement years, but I think it might be a book that others, much younger might benefit from reading. It might give a sense of perspective to how we choose to our lives as we grow older, and it might lead us to have greater respect for those who have preceded us along this pathway. With that may come true contentment! Note: This book is distributed in the USA by WJK Press, which shared the review copy with me.